Japan and South Korea’s already tense relations took another blow in the form of a South Korean Supreme Court ruling. 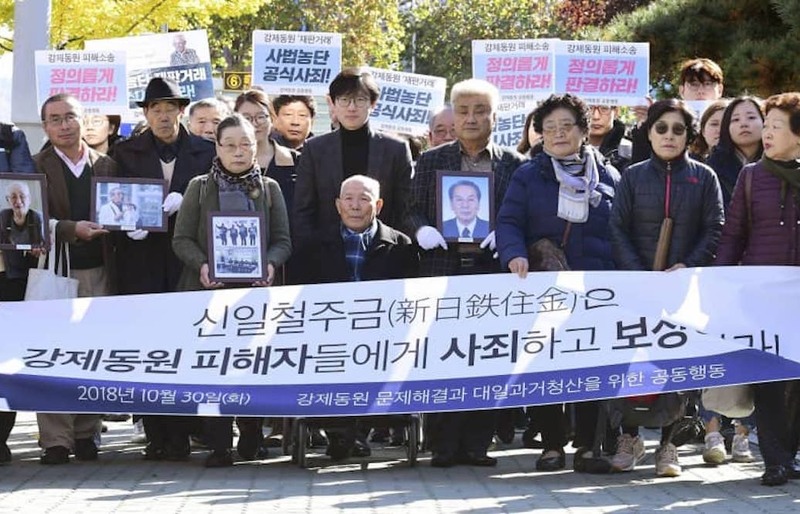 On October 30, South Korea’s Supreme Court ruled that Japan’s Nippon Steel and Sumitomo Metal Corporation must provide compensation for four Koreans for their forced labor during the Second World War. The decision upheld a 2013 court ruling saying that Nippon Steel must pay ₩100 million (South Korean Won), approximately $88,740, compensation to each of the plaintiffs. forced into labor between 1941 and 1943. Japan’s reaction to the ruling was overwhelmingly negative, with officials stating that the ruling not only goes against a 1965 agreement between the two countries but also punishes a company different from its wartime counterpart. The case against Nippon Steel began in 1997, when two former workers sued the company in Japan. During the war, the Japanese forced the Koreans to work in a steel mill belonging to Japan’s Iron & Steel. The firm later became the Nippon Steel Corporation until it merged with another steel maker in 2012 to form the Nippon Steel & Sumitomo Metal Corporation. However, the court sided with the company on the basis of a 1965 treaty that, in the eyes of Japan, settled issues regarding wartime reparations. In 2005, the two plaintiffs, along with two other former workers, brought the case to South Korean courts. Initially, the judges backed the Japanese court decision, but in 2012, the Korea’s Supreme Court sent the case to a lower court, saying the rulings violated the South Korean Constitution and international legal norms. In 2013, a lower Korean court ordered Nippon Steel to pay compensation to plaintiffs, only one of which- Lee Chun-sik- survived to see the October 30 ruling. Japan’s immediate reactions to the South Korean ruling were overwhelmingly negative, with some officials, like Chief Cabinet Secretary Yoshihide Suga claiming that the verdict violates international law and should be brought to the International Court of Justice. Japanese Minister for Foreign Affairs Tarō Kōno took a more scathing approach, stating that “it would be difficult for any country to do anything with the South Korean government” if an international court reversed the Korean Supreme Court ruling. “[The court’s ruling] fundamentally undermines the legal basis that has served as the foundation of the friendly relationship between the two countries since the normalization of bilateral relations in 1965,” said Kōno. However, South Korean officials view Japan’s negative reactions and threats towards the Korean government as an “overreaction”. South Korean Prime Minster Lee Nak-yeon stated that “Japanese officials are creating a diplomatic row” in an attempt to change the ruling. South Korea’s Ministry of Foreign Affairs believes that Japanese officials are disregarding the “root cause of the issue” and make comments that “rouse our public’s emotions” towards the case and towards the state of Korean-Japanese affairs. Despite this negative view of Japan’s reaction, the South Korean government seems to recognize the difficult next step in enforcing the ruling. The harsh sentiments towards the court ruling reflects the tense history between Japan and South Korea. After Japanese annexation in 1910, Korea was a colonial holding of Imperial Japan until it was handed over to Allied forces in 1945. Under Imperial Japan, thousands of Koreans were forced to work to support the Japanese work effort in areas such as China and Japan. This forced labor included work in Japanese industry, such as the workers receiving compensation from Nippon Steel, and, a group heavily emphasized and memorialized in recent years, the “comfort women”, who were women and girls forced into prostitution and sexual slavery by the Imperial Japanese Army. According to Professor Christopher Gerteis of SOAS University of London, this period of history was Korea’s equivalent to the Holocaust. In June 1965, Japan and Korea signed the Treaty on Basic Relations between Japan and the Republic of Korea, which essentially established diplomatic relations between the two countries. This treaty included the “Agreement on the Settlement of Problems Concerning Property and Claims and on Economic Cooperation Between Japan and the Republic of Korea”, in which the Japanese government agreed to pay the South Korean government $300 million in grants over a period of 10 years and to also provide $200 million in low-interest loans. Article II states “The Contracting Parties confirm that problem concerning property, rights, and interests of the two Contracting Parties and their nationals (including juridical persons) and concerning claims between the Contracting Parties and their nationals, including those provided for in Article IV”. Despite Japan’s claims that the $500 million settled all wartime compensation issues, Korea’s Supreme Court ruled that the 1965 bilateral treaty did not terminate individuals’ rights to claim damages, despite Japan’s argument that it had settled all such claims. The major step towards a cooperative future came in 1998 at the so-called Kim-Obuchi summit, where South Korean President Kim Dae-jung and Japanese Prime Minister Obuchi Keizo met to discuss a “future-oriented” relationship between the two countries. The goal of the summit was to “build a new Japan-Republic of Korea partnership toward the twenty-first century” rather than focusing on the strained colonial past. However, this goal required Japan to “squarely face the past” and recognize with ”a spirit of humility, the fact of history that Japan caused…tremendous damage and suffering to the people of the Republic of Korea through its colonial rule”. Prime Minister Obuchi emphasized that it was essential for both countries to overcome this dark history and build a relationship for the future based on “reconciliation” and “good-neighborly and friendly cooperation”. Despite major steps made towards a cooperative future at the Kim-Obuchi summit in 1998, the transition into the Moon administration appears to have set back the development of Korean-Japanese relations away from the dark colonial past. Another point of contention comes with the commemoration of comfort women. In December 2015, Former Korean President Park Geun-hye and Japanese Prime Minister Abe created the Comfort Women Agreement , which created a Japanese-funded foundation to provide support to comfort women and their families. However, after coming to office in May 2017, President Moon Jae-in, who represented South Korean forced laborers as a lawyer in the 2000s, unilaterally decided to dismantle the foundation and replace the Japanese funding stream with Korean resources. This only intensified the standoff by replacing Japanese attempts at commemoration and reconciling the past with more power delegated to Korean nongovernmental activists. Many officials believe that the Supreme Court ruling could also apply to other similar pending cases. 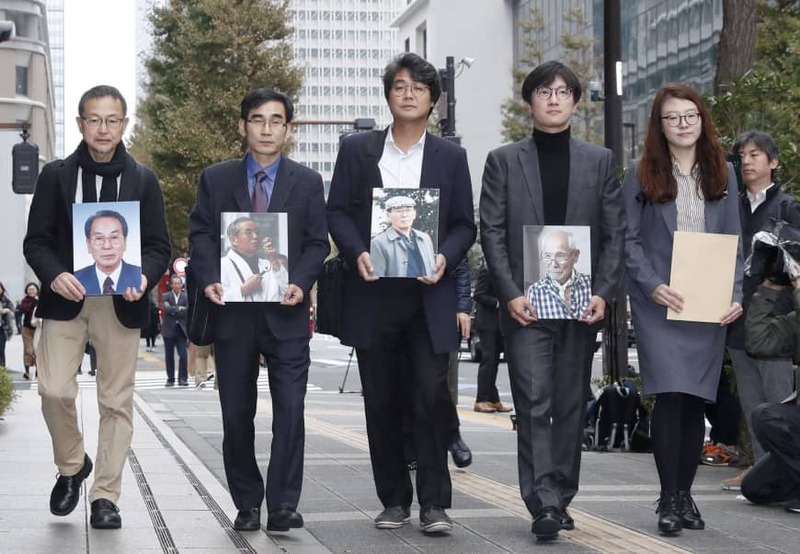 Currently, there are fifteen similar cases pending that were brought forward by South Koreans who worked for 69 different companies during the Japanese occupation. In total, there are around 300 Japanese companies accused of using forced labor during the colonial era, including Mitsubishi Heavy Industries and Nachi-Fujikoshi. In 2013-2014, the two companies appealed against a ruling where they were also ordered to provide reparations to its workers. The South Korean appeals court is expected to rule on similar claims against Mitsubishi Heavy Industries next month. With more claims potentially on the horizon, Nippon and other Japanese businesses may be forced to reduce operations in South Korea, a major business hub for Japanese companies. Such claims hold the potential to “damage the good economic relations between the two countries” and be an “impediment on future investment and business in South Korea”. “The Japanese government must be clearly aware that excessive political emphasis on the present case will be of no help to the future-oriented relationship between South Korea and Japan,” said the South Korean Ministry of Foreign Affairs. Although the court ruling only seems to involve Japan and Korea on the surface, it has more widespread implications. The ruling only escalates the situation in the already tense region of East Asia, as diplomacy with China and the Korean Peninsula provides for difficult transitions and policy planning. One of the primary concerns is the approach to rein in North Korea’s nuclear program and contain China’s influence in the East Asia region. Although a major power, the United States has made efforts to create a strong trilateral cooperation with Japan and Korea in order to strengthen an opposing presence in the region. However, with increasing tensions over the history between Korea and Japan, the future of East Asian policy is unsure.